These mid-sized Old Words sport a variety of pretty ambers, golds, bronzes, and even a bit of green. My first experience with this genus came with the aforementioned H. pulchripes. Back in 2015, I acquired a sling and a juvenile female, and I immediately fell in love with the species. Besides their strikingly good looks, I found this spider to be incredibly hardy with a fairly laid back temperament for a baboon species. 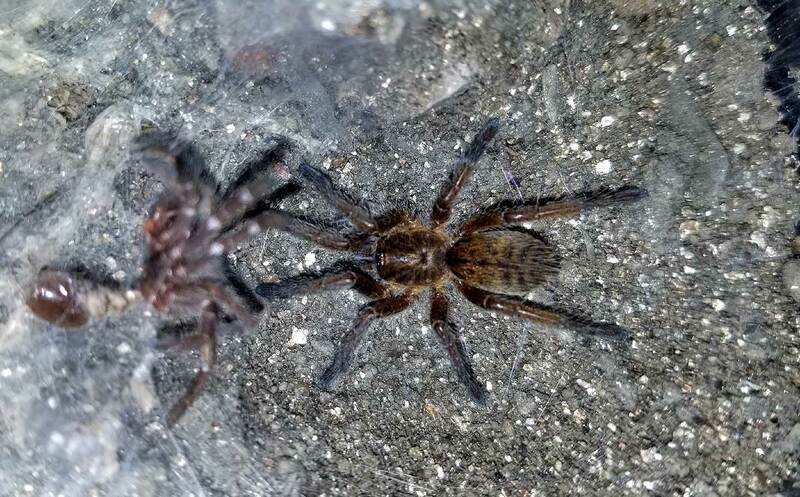 Last year, I was fortunate enough to get several more Harpactira species from Tanya at Fear Not Tarantulas, and I have become a huge fan of the genus. Connoisseurs of heavy-webbing, visible, fast-growing, robust, pretty baboons will find a lot to love about this genus.